This is a pack of optional black upper and lower RPM Traxxas Summit Front Left A-Arms, for use with the Traxxas Summit, Revo and E-Revo. In response to repeated customer demands, RPM has developed a set of front left A-Arms for the Traxxas Summit. 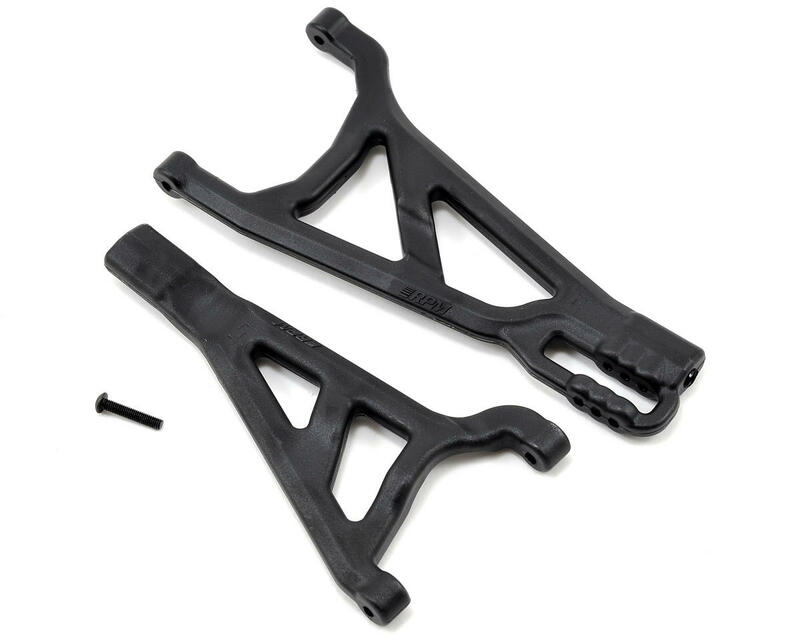 The RPM front right A-arms for the Traxxas Revo (RPM80212) are already compatible with the Summit, but due to the extended T-Lock differential on the left side, the Revo front left A-arms would not fit. That is no longer an issue with these A-arms. With a revamped cross-brace to clear the T-Lock differential, the Summit front left A-arms will allow full suspension travel and significantly improve overall suspension durability. RPM front A-arms for the Traxxas Summit are molded from RPM's indestructible blend of engineering grade nylons for unmatched performance and durability. Every RPM molded part in manufactured in the USA and carries with it a limited lifetime warranty against breakage. 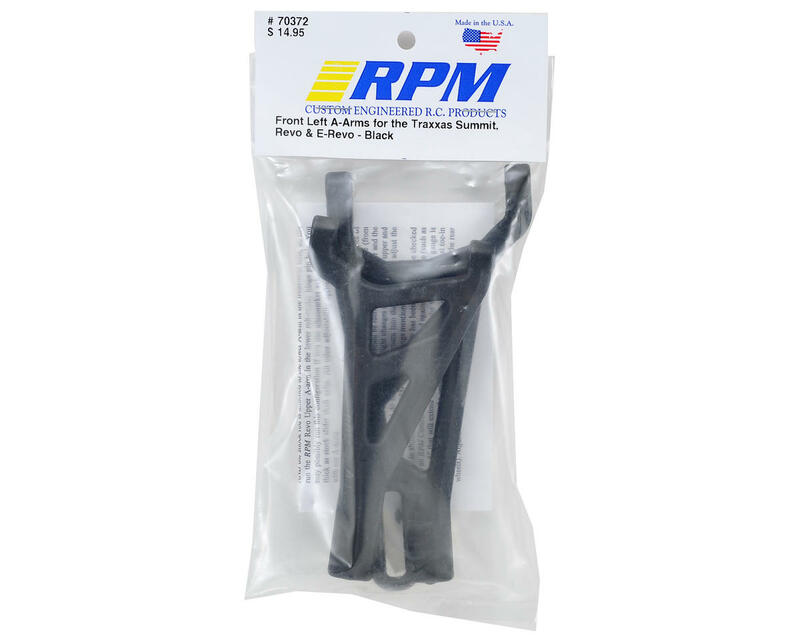 If you’re tired of replacing broken stock parts over and over, give RPM a try.